Life is a wonderful gift. As we travel, we are exposed to new places, cultures and we’re also opened to new insights, ways of seeing the world and living, this often leave us overwhelmed with gratitude and appreciation for all the beautiful moments we enjoyed. 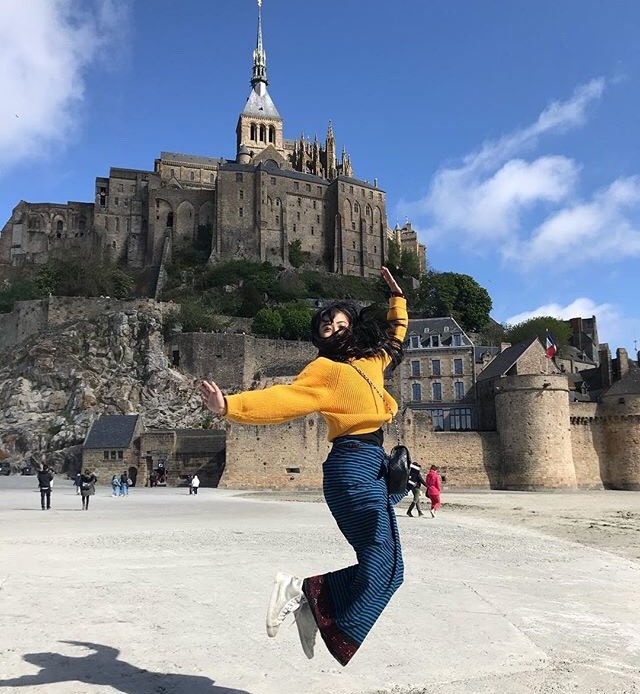 Syria, a globetrotter takes every opportunity to stay positive in life, even when she goes through the most difficult heart break. 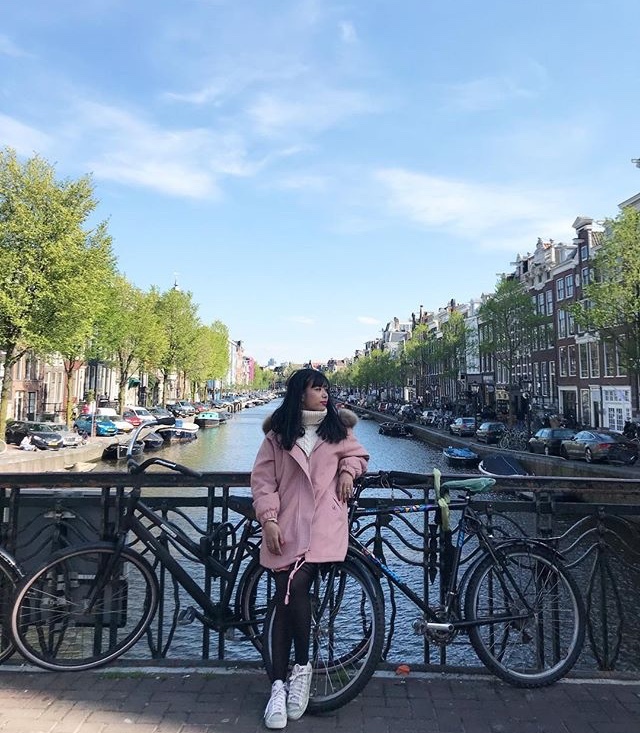 She has learned that there is so much more to life through travelling around the world. 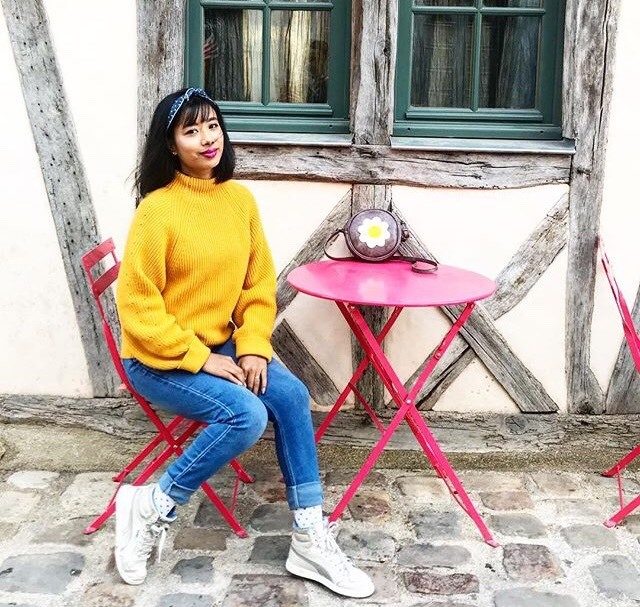 Today, we had a chat with Syria Chontham Monnin, a travel enthusiast from Manipur who is now settled in Everly, ill-De-France with her husband. 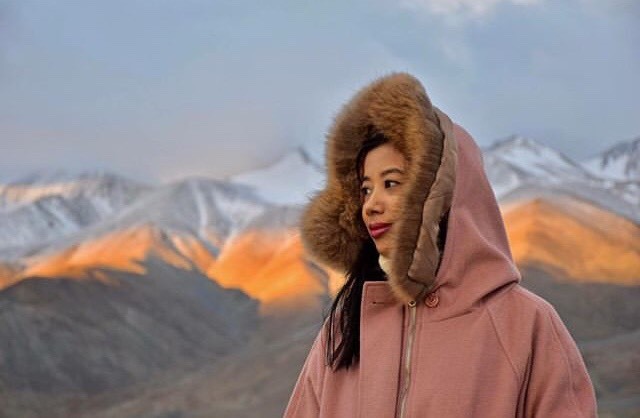 She talks about how travelling have influenced on her personally, during her ups and downs in life. Also, she has leave some important tips for our readers so let’s find out everything below..
Introduce a little about yourself. My name is Syria Chongtham Monnin, 29, from Manipur. But I’m currently residing in a small town called Everly, Elle-de-France. I recently resigned from being a senior cabin crew where I worked for almost 8 years. As of now, me and my husband are taking a break and travelling around the world. 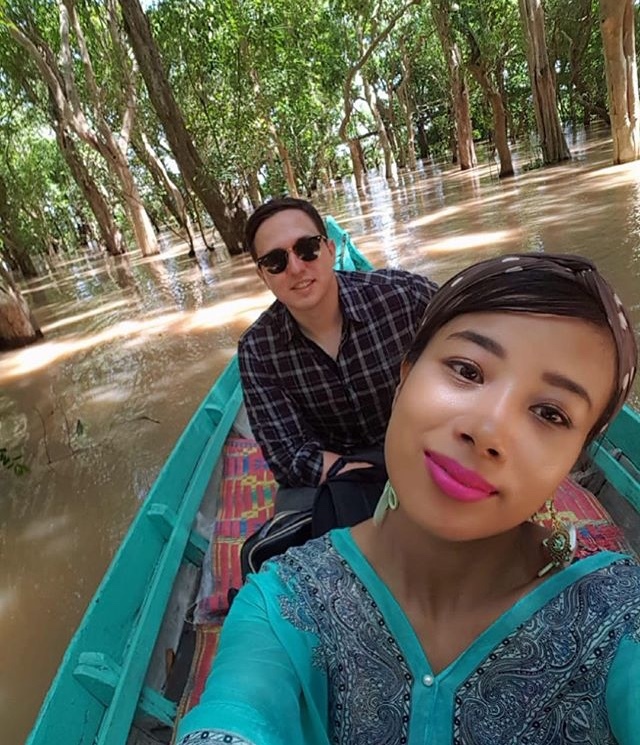 Syria goes boating with husband at Kampong Phluk, Cambodia. What does travelling mean to you and what inspired you to start travelling? Travelling is soul searching for me and it’s addictive. It’s quite a funny story of how my love for travelling started. I had a heartbreak and it was really hard for me to move on, so I went to Thailand alone to distract myself. I remember how I was wandering with a backpack, and made friends with the locals especially the trans and even went to a gay club with them. 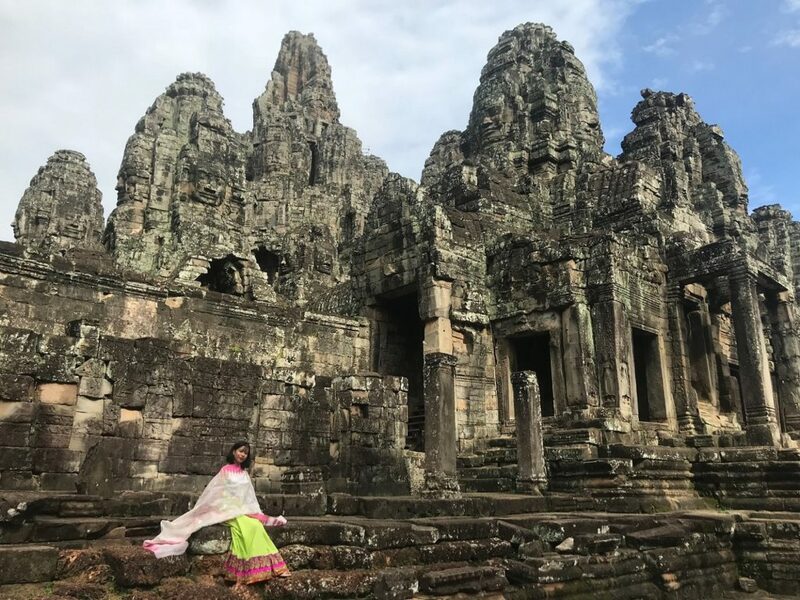 Getting to know a new culture and discovering places gave me an experience which is unforgettable. My inspiration to travel is also my husband who shares the same taste, and learnt a lot from him about travel. 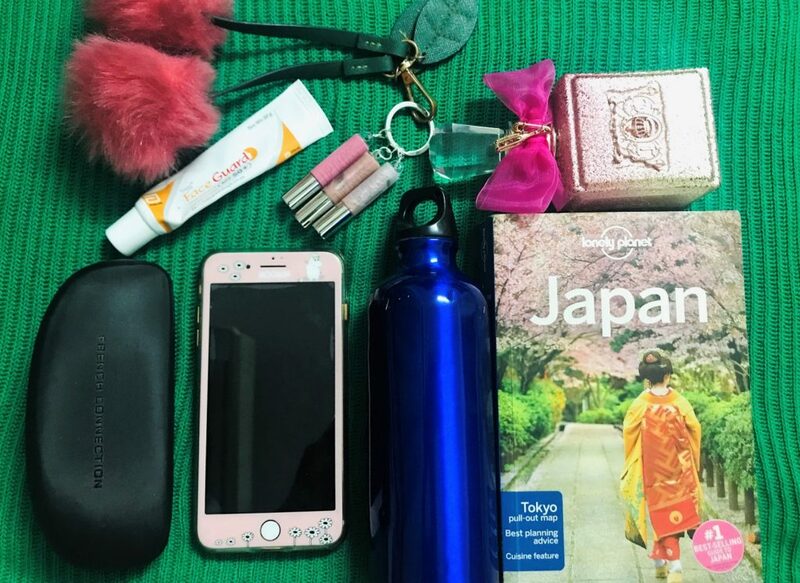 Name your top travel essentials in your bag. My phone, a water bottle, Lonely Planet book, perfume, sunscreen and sunglasses. Syria’s top five travel essentials : phone, a water bottle, Lonely Planet book, perfume, sunscreen and sunglasses. Which destinations are your favourites and why? – A walk through the aisles of tulips garden in the Netherlands. 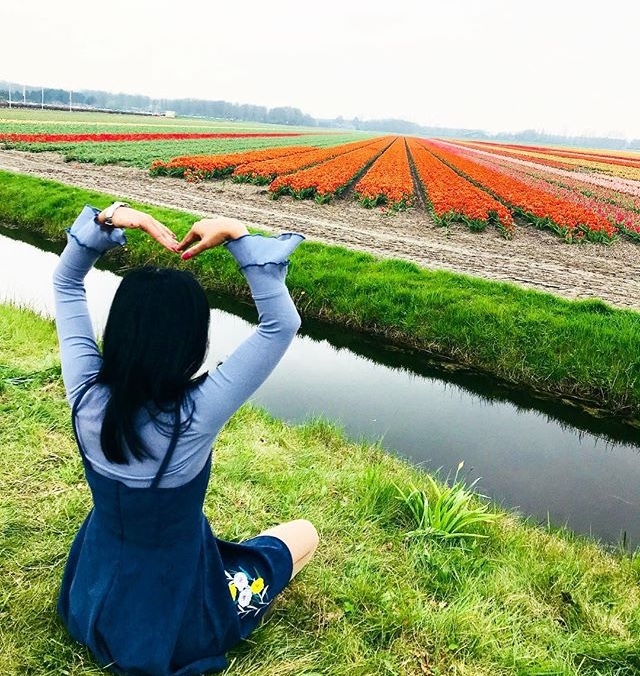 Syria at the bright and colorful garden of Tulip flowers in Netherlands. – Sitting under the cherry blossom trees in South Korea. 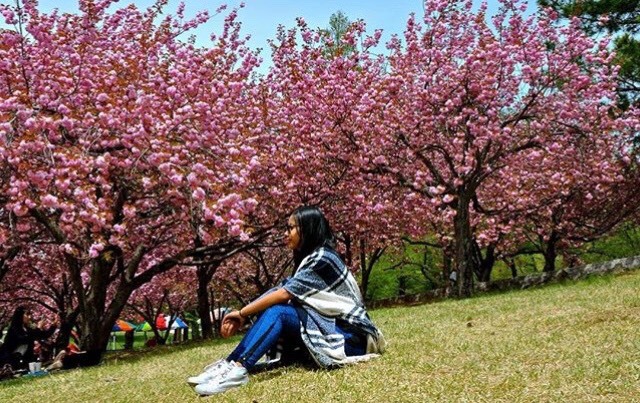 Syria sitting under the beautiful cherry blossom trees in South Korea. – A three day tuk tuk ride in Cambodia exploring the temples. – Watching the magic in the rail in Disneyland, Paris. 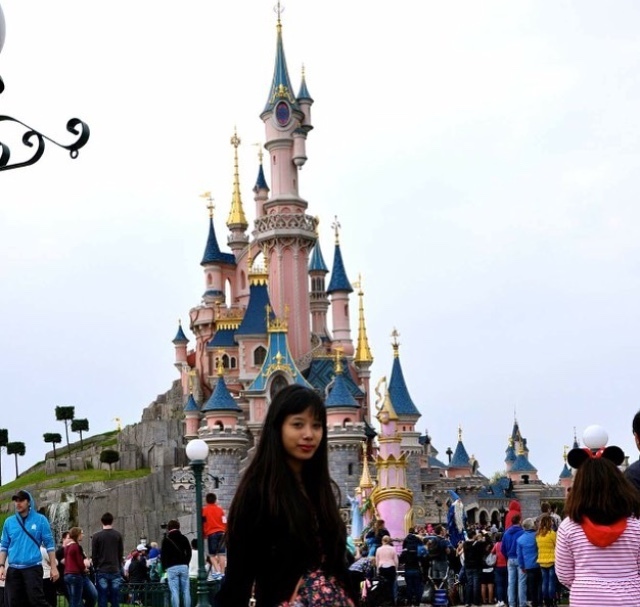 Syria at the Disneyland of Paris, France. 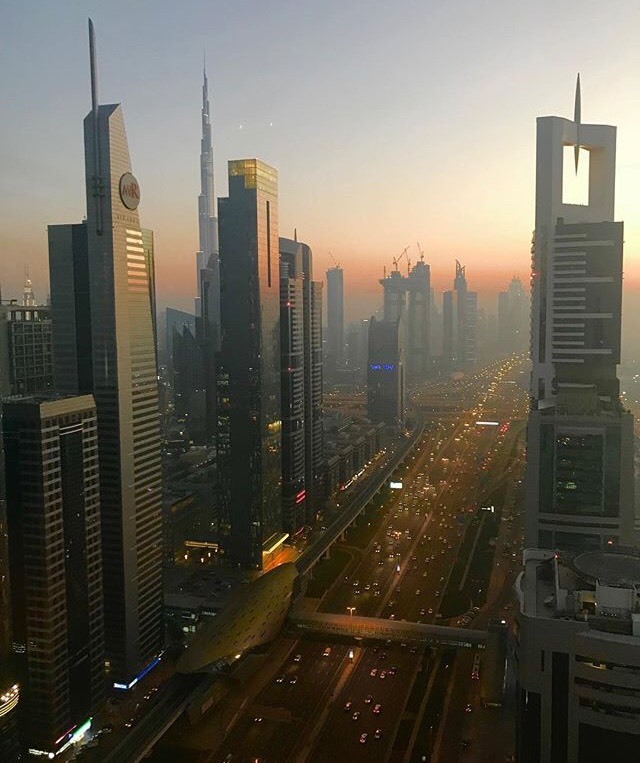 – Enjoying the dawn over a mug of beer in one of the highest roof top bar in Dubai, etc. A view from one of the highest buildings in Dubai. It should be Norway. The green skies over the coast of Northern Norway is something I have been dreaming to see. I hardly owned expensive clothes and jewelleries. I save money to travel. Apart from holidaying, my career was an added advance where I get paid to travel. Syria at Mont Saint Michel, Normandy. Leave some travel tips for our readers or advice for those planning to travel. Plan your itinerary in advance and know where and how to visit. 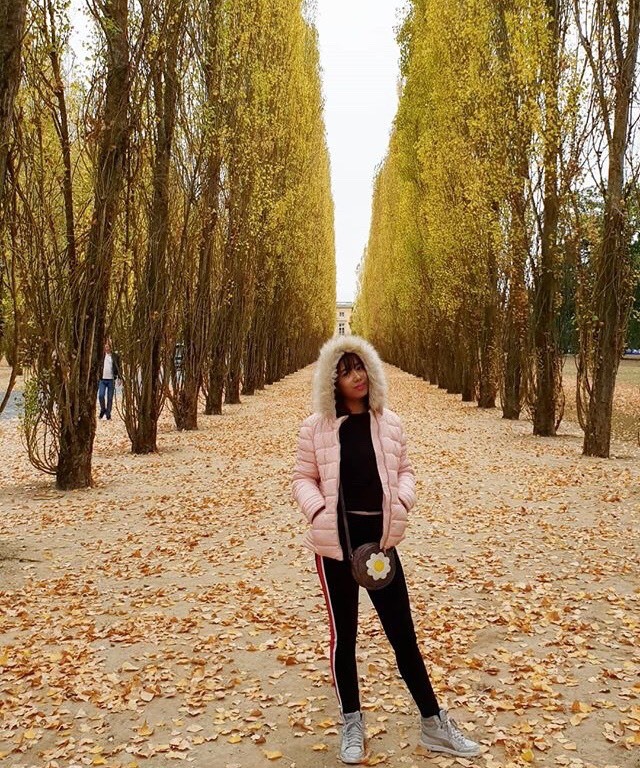 This will save you lots of time and money; Check the weather and take the essentials beforehand; Know the etiquettes of the country you are visiting; Download the offline maps before you head out; Sunrise and sunsets is the perfect time to see and click pictures; Carry a forex card, US dollars or Euros. Never exchange directly from INR to other currency. Some country does not accept INR; Be very careful of pickpocket in main tourist attractions. 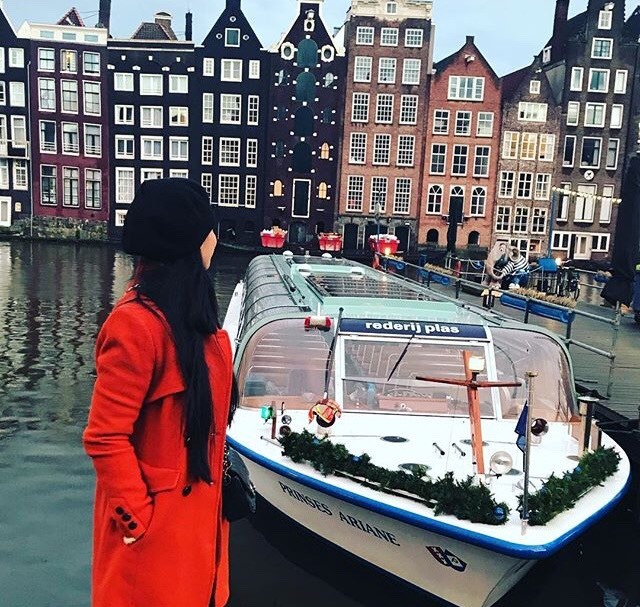 Syria at Amsterdam Centraal, Netherlands. Spending money on materials may give you joy for a while but the joy on spending money on experiences and exploring will last forever. Syria at Chateau de Versailes, France. 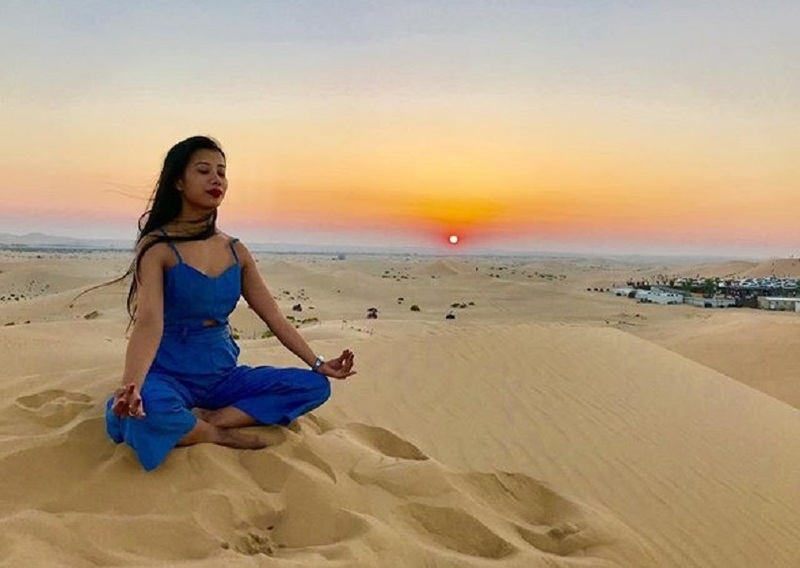 Syria meditating at Abu Dhabi desert Safari, UAE. I would like to thank The Roots and the Leisure team for giving me this opportunity to tell stories on how travel can inspire us. And I wish the team a very best of luck. God bless. Syria at the Leh Palace, Ladakh, India. 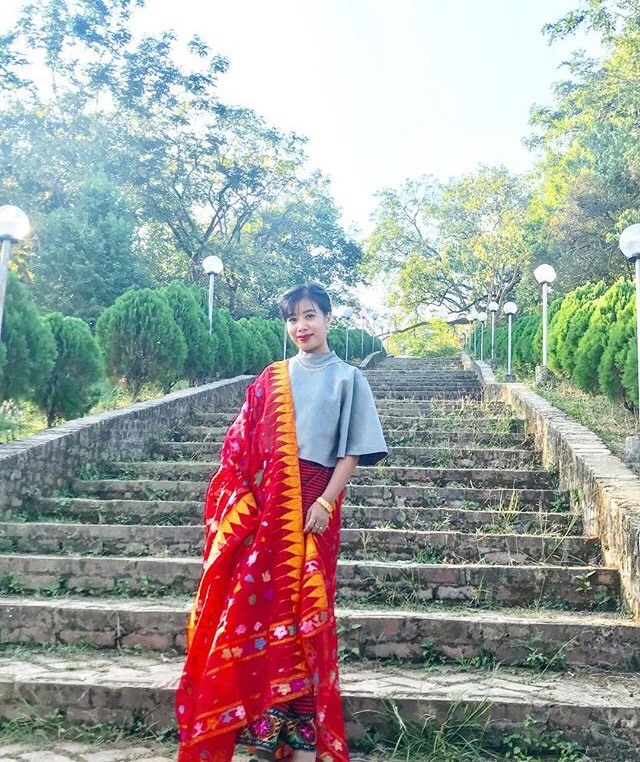 Syria in beautiful Manipuri attire at her hometown Lilong Chajing in Manipur.